We are proud to announce that our photographs will be featured this month on the new BBC 2 series "Britain in Bloom"! 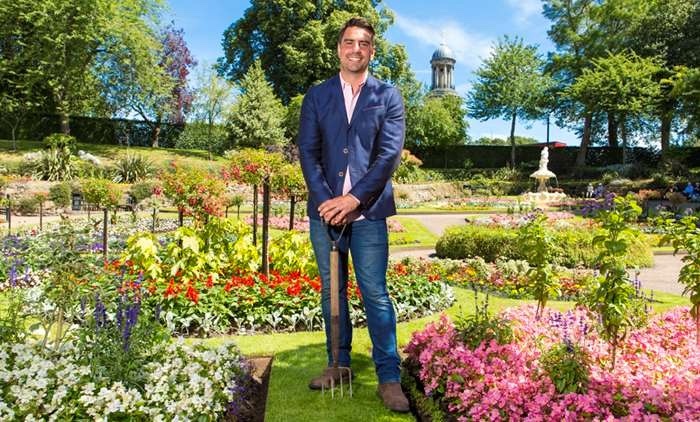 With access to the Royal Horticultural Society’s ‘Britain in Bloom’ Awards, this new BBC 2 series presented by Chris Bavin tells the stories of fifteen flower-obsessed communities, from a school Gardening Gang to a seriously green fingered church group, as they compete to triumph at the most prestigious gardening event of the year. 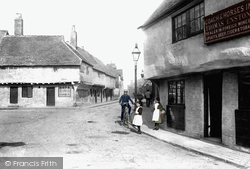 We hope you will watch along with us and spot the Frith photographs that help to tell the story of the places featured in the series! Spot this photograph in Episode 2 on Tuesday 17th April when Chris Bavin meets the Mablethorpe Bloomers, determined to get their seaside town back on the map by winning their first gold award with some unconventional floral displays. 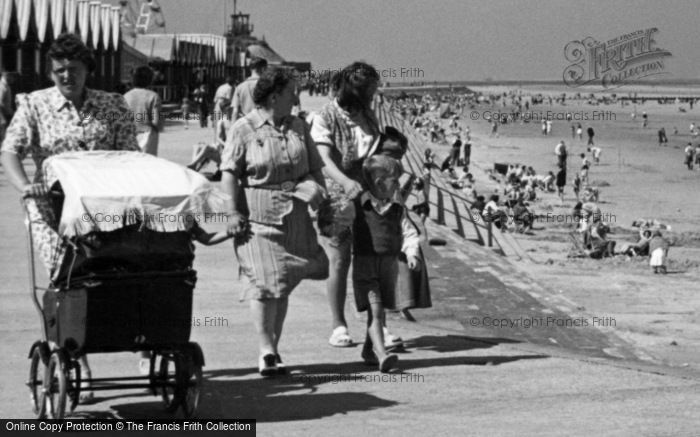 Photo: Mablethorpe, The Beach c.1955. 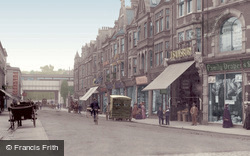 Another photograph that you can see in Episode 2 of 'Britain in Bloom' on BBC 2 on Tuesday 17th April. The Lincolnshire coast is well known for its sandy beaches, and Mablethorpe and Sutton on Sea are outstanding, as this photograph shows. 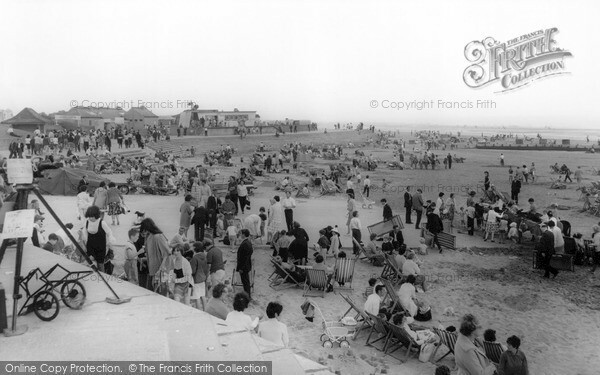 There were numerous chalets which could be hired for the day or week along the promenade, and the big wheel is also to be seen in the far distance – it has now gone. You will see this photograph in Episode 3 on Wednesday 18th April when Chris Bavin travels to Shropshire to meet the Shrewsbury Bloomers, who have been taking part in the annual floral competition for decades, and plant 300,000 flowers each year! 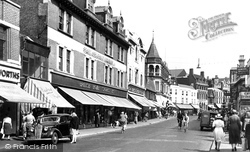 Photo: Shrewsbury, The Dingle 1923. You can see this photograph on Thursday 26th April's episode of 'Britain in Bloom on BBC 2 at 6pm, which features a flower-obsessed community in Grimsby. 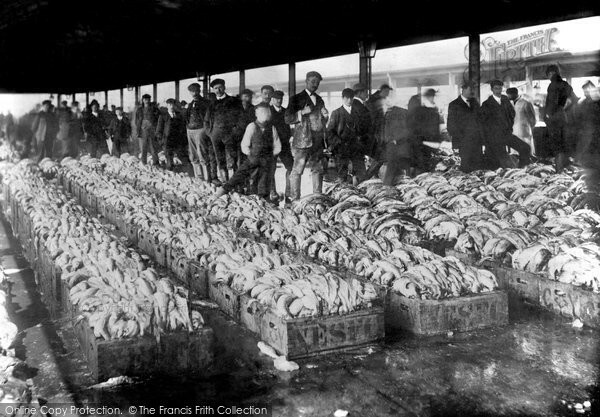 Photo: Grimsby, Fish Pontoon 1906. 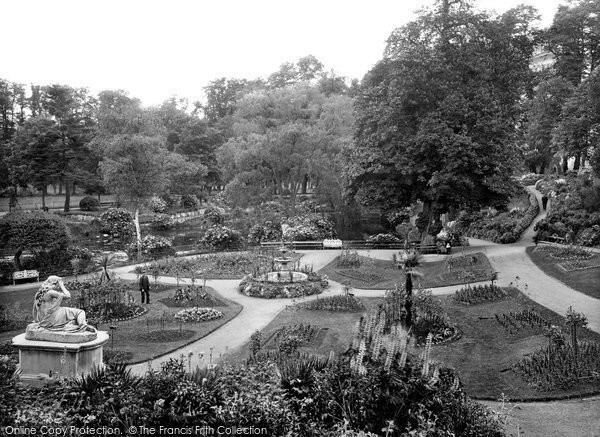 This photograph can also be spotted in the Grimsby episode of 'Britain in Bloom' on Thursday 26th April. Grimsby was once the world's largest fishing port, but the 'cod wars' ended that. This is truly a magnificently busy and marvellously nostalgic photograph, showing all types of fishing vessels and cranes, and the Victorian Dock Tower standing a majestic 309 feet over the busy port. The tower was built in 1852, and can be seen for many a mile. The first fish dock opened in 1856, and the Royal Dock was built between 1849 and 1852. 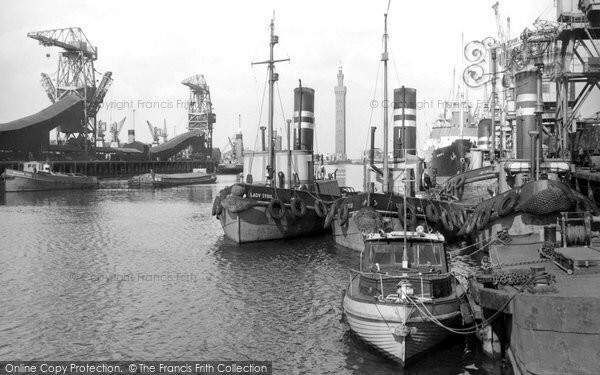 Photo: Grimsby, The Royal Dock c.1955. This post has the following tags: Archives,Nostalgia.